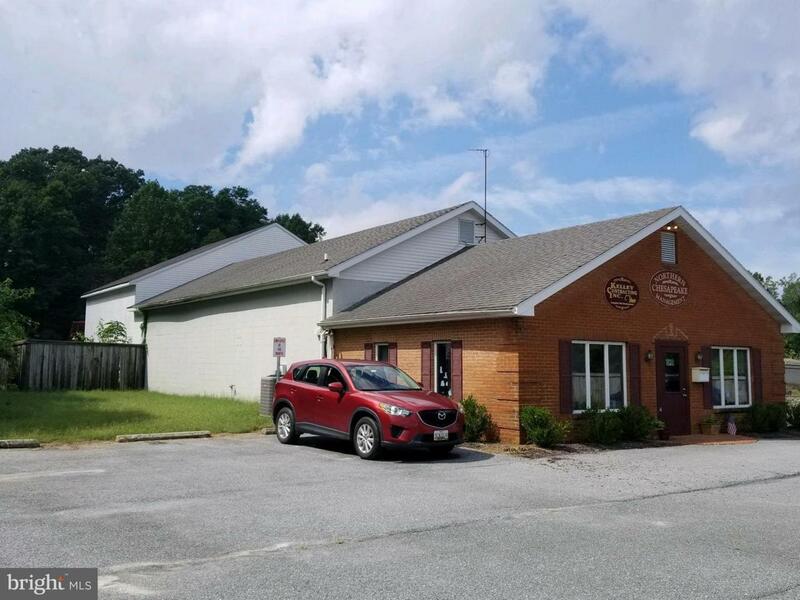 Prime Commercial Building in excellent location ~ on Rt. 313, close to Rt. 404, and the easy access to Delaware. Contractors dream setup, featuring reception area, numerous offices, large truck shop, high doors, fenced in yard, paved parking, good visibility. Includes Tax ID#03-035417 (.49+/- ac) Total property is 1.82+/- acres.